In a hilly country called Ephraim, a man named Elkanah lived with his two wives, Hannah and Peninnah. Hannah was very sad because she did not have any children. Peninnah had children. Peninnah was mean to Hannah and made Hannah feel bad that God had not given her any children. In those days, having children was very important. Hannah wanted to have a family. of his life.” A priest named Eli was sitting near the doorpost of the tabernacle. Eli watched Hannah pray silently. He couldn’t hear her, but he saw her lips moving. Eli thought there was something wrong with Hannah. When Samuel was no longer a baby, Hannah took him to Eli at the tabernacle. She reminded Eli who she was and told him that God had answered her prayers. 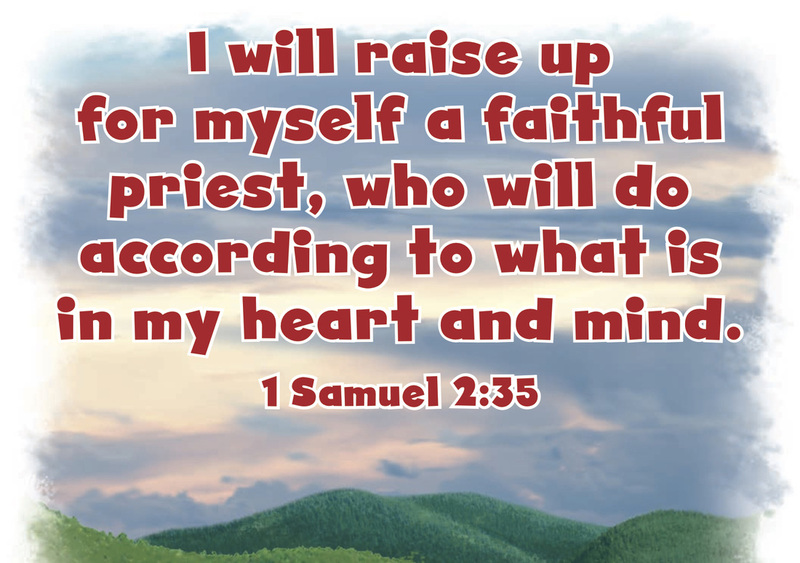 Hannah pledged Samuel to serve God and she worshiped God with a prayer. “There is no one holy like the Lord. There is no one besides You! And there is no rock like our God,” Hannah prayed. She returned home and left Samuel with Eli to serve God. Every year, Hannah returned with a ​new robe for Samuel, and God gave Hannah many more children. Eli was getting old, and his sons served as priests in the tabernacle. Eli heard that his sons were sinning against God. Eli asked his sons why they were sinning, but they did not listen to him. 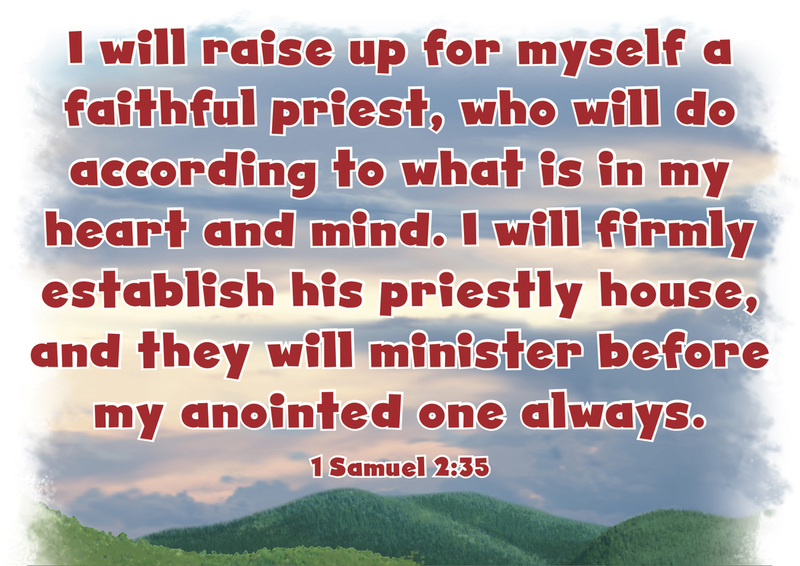 Samuel, on the other hand, grew older and found favor with God and with men. One day a man of God came to Eli and told him that God was not going to honor people who sinned against Him. God said He was going to choose a new priest who would serve God faithfully. 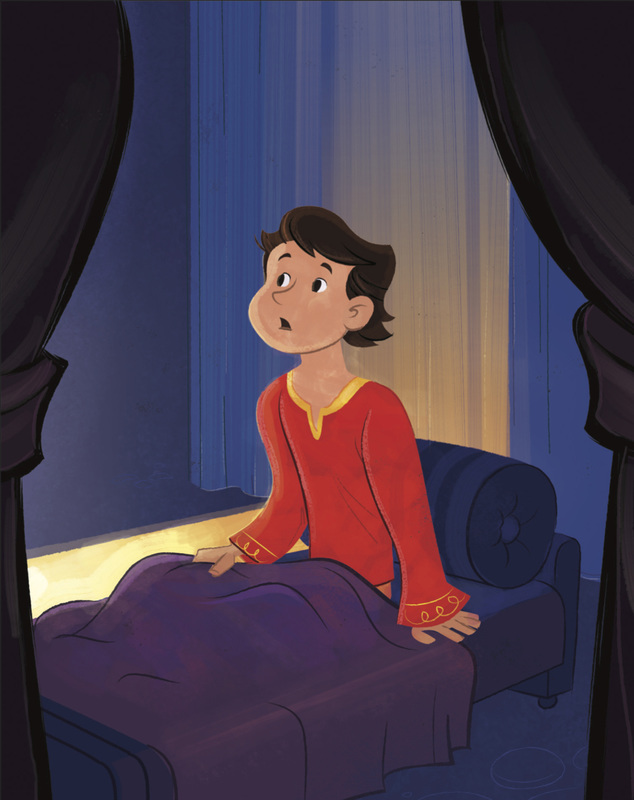 One night, Eli was lying in his bed and Samuel was lying in the tabernacle when Samuel heard someone speak to him. God called Samuel three times, and each time Samuel ran to Eli. “Here I am,” he said. Eli finally understood that God was calling to Samuel. He told Samuel how to respond. “Speak, for Your servant is listening,” Samuel replied. 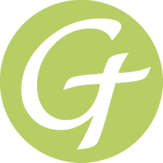 God told Samuel that He was going to judge Eli’s family for their sin. The next day, Samuel was afraid to tell Eli what God had said. 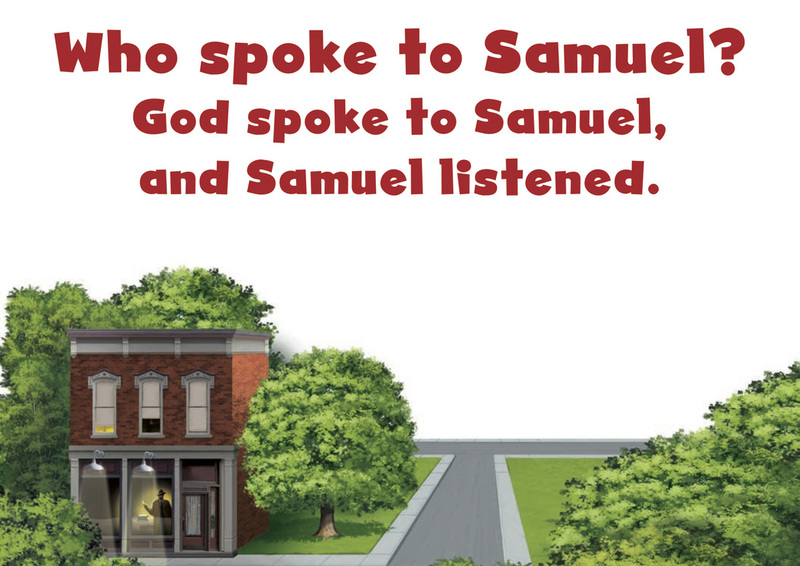 Eli asked Samuel to tell him what God said. “He is the Lord. He will do what He thinks is good,” Eli assured Samuel. As Samuel grew, God was with him. Everyone in Israel knew that Samuel was God’s messenger. 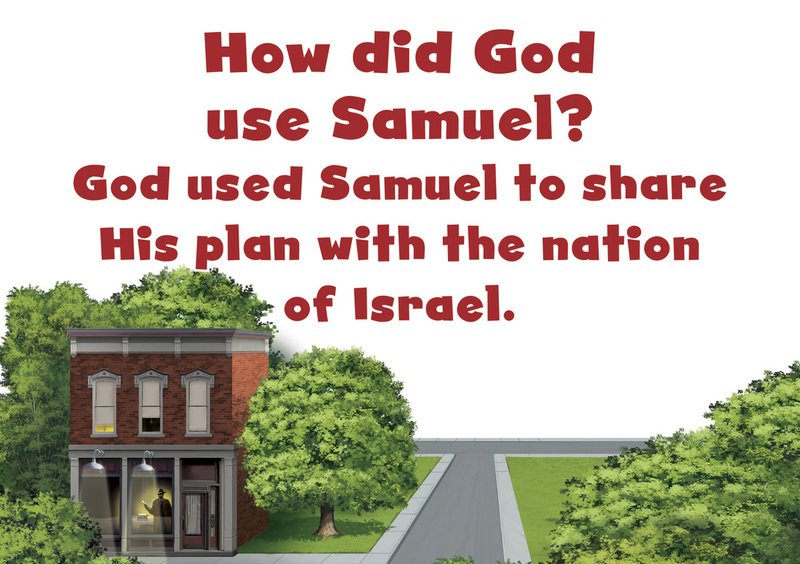 God used Samuel to share His plan with the nation of Israel. Christ Connection: Samuel used God’s words to tell the people what God is like. John 1:1 says that Jesus is the Word. Jesus showed the world what God is like, and He told people to turn away from their sin. Jesus ultimately freed people from the power of sin by dying on the cross and rising again.